When is Black Friday 2018? Also, why is it called that, anyway? Friday is usually a bright day of the week. Most people ending are their work week and looking forward to having fun on Friday night and the weekend. However, for one Friday every year, that day means something else entirely. Black Friday, has turned into one of the single biggest shopping days in the U.S. and other countries, as retailers cut prices to the bone on products like smartphones, tablets, PCs and other electronics products. However, Black Friday meant something different when it first originated many decades ago. Not only will we answer the question of what Black Friday is, but of course, we will let you know when Black Friday 2018 is happening — it’s not that far away. You may be wondering when Black Friday 2018 is on Friday, November 23, 2018. It’s the day after Thanksgiving in the U.S., just like always. This year’s Black Friday is happening earlier in the month than it has since 2012, when it also fell on November 23. There are a couple of myths about how the term “Black Friday” got started. One is that Black Friday is the date where many major retailers finally see a profit for the year, which is sometimes called being “in the black” (instead of “in the red”) due to all of the holiday shopping that starts on that day. A more problematic explanation is the theory that Black Friday was by 19th century Southern slaveowners, because they could reportedly buy slaves on the Friday after Thanksgiving at a discount. Some people have actually used this myth as an excuse to boycott shopping on that day. Thankfully, this explanation was disproved. As it turns out, the use of the “Black Friday” phrase came about somewhat outside of holiday shopping. As posted by History.com, it was first used by the police in Philadelphia during the 1950s. During that period, the annual Army-Navy football game would be held in that city on the Saturday after Thanksgiving, because Philadelphia was between where the Army and Navy academies were located. However, on the Friday before the big Army-Navy game, Philadelphia police had to deal with tons of tourists who came to the city to see the game the next day. The term “Black Friday” was mostly used in Philadelphia until sometime in the 1980s, when retailers in other parts of the U.S. slowly started using the myth of their businesses going into a profit for the year on that shopping date. From then on, “Black Friday” was used not in a negative way, but as a time for both retailers and shoppers to celebrate the unofficial start of the holiday buying season. The use of the term “Black Friday” as a shopping event really started taking off in the U.S. during the 2000s, and since then countries like the U.K., Mexico, and Australia have all adopted it. As recently as a few years ago, most major brick-and-mortar stores in the U.S. shut their doors on Thanksgiving and opened very early the next day to begin their Black Friday sales. Many now stay open on Thanksgiving to launch their holiday sales, although many major retailers still observe the practice of closing on that day. 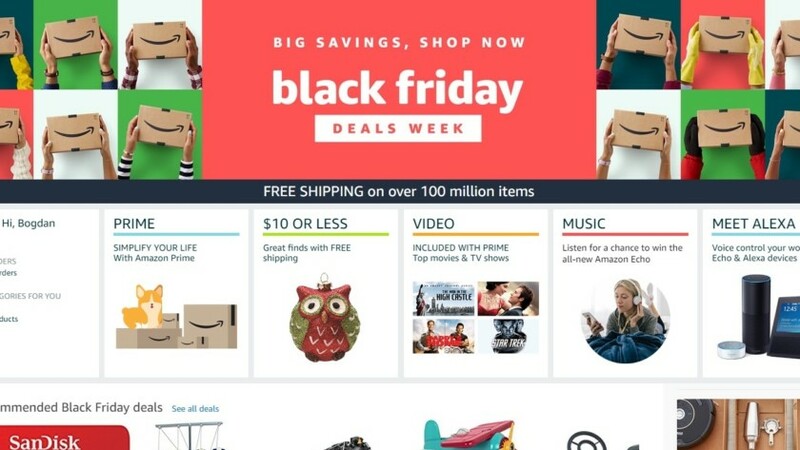 In addition, other retailers now launch Black Friday-based price cuts online on Thanksgiving, or even a few days before. While Black Friday is not an official national holiday, many states in the U.S. observe the day after Thanksgiving as a holiday for their employees, making the Thanksgiving holiday a four-day weekend for a lucky few. Hopefully, you not only now know when Black Friday 2018 happens this year (November 23, in case you missed it), but you also where the term came from and how it spread and morphed into the biggest single shopping event of the year. What is your favorite (or most infamous) Black Friday memory? Let us know in the comments!